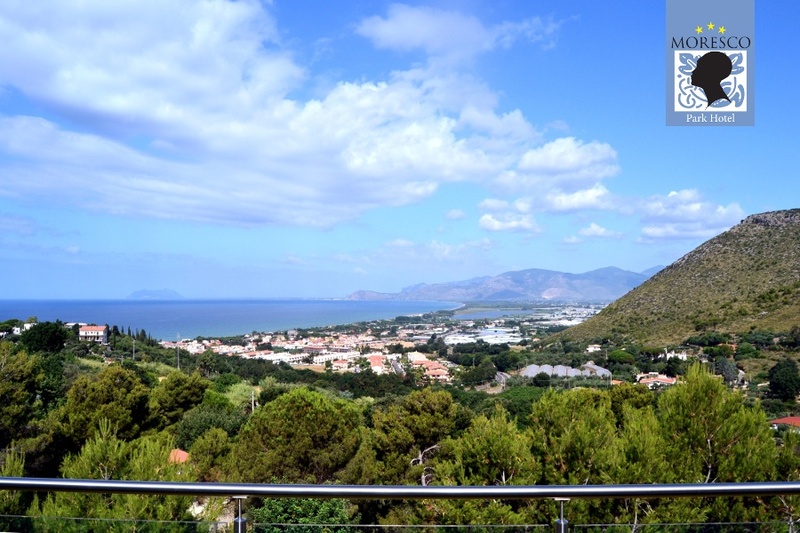 We travelled to Sperlonga on Friday 6th July after visiting Ostia Antica and stayed for 7 nights at the Hotel Moresco Park. This was a fairly new establishment with 14 very comfortable bedrooms. 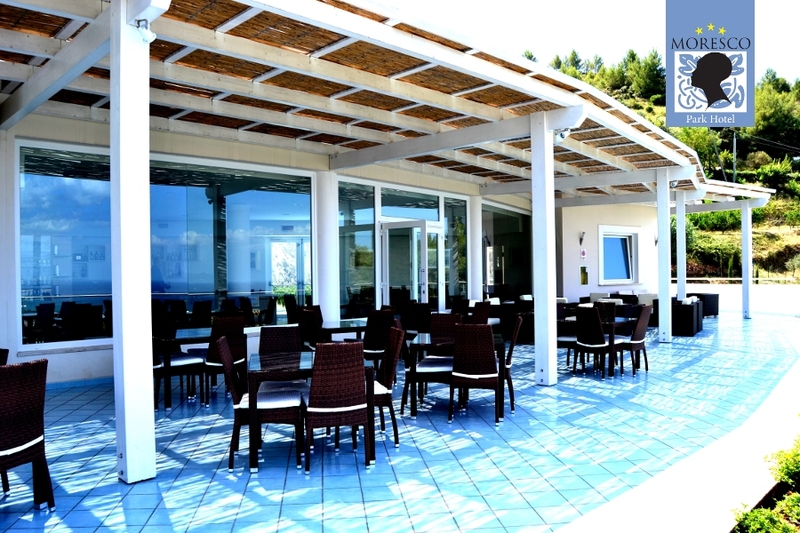 It is situated on a headland overlooking the town and benefits from good views over the bay and any breezes that are about. 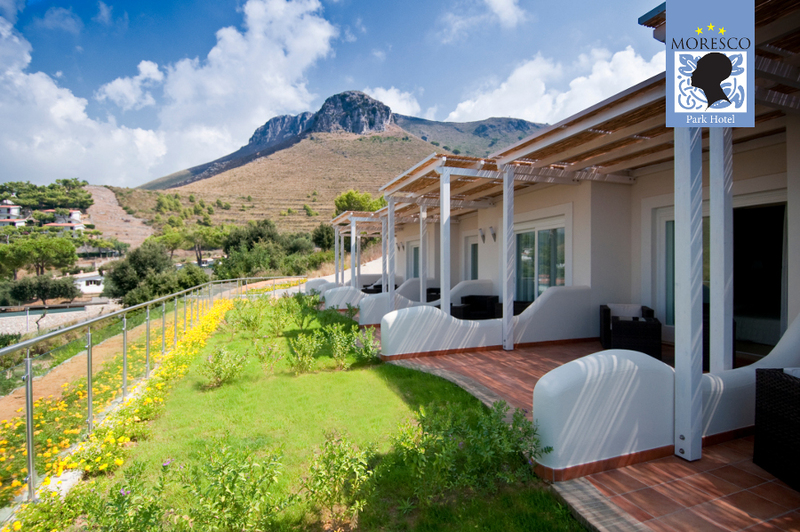 Each room has a terrace facing the sea. 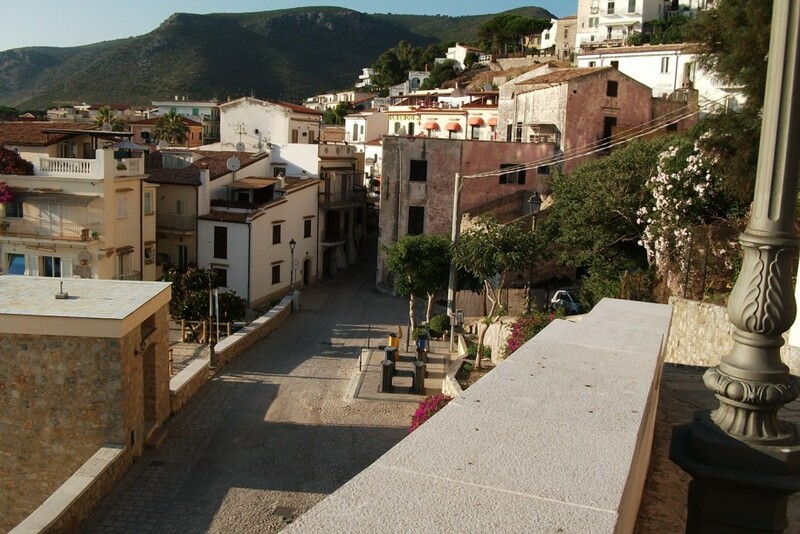 Sperlonga is a small town in two parts. The Old Town covers a Headland, at the end of which is a castle. 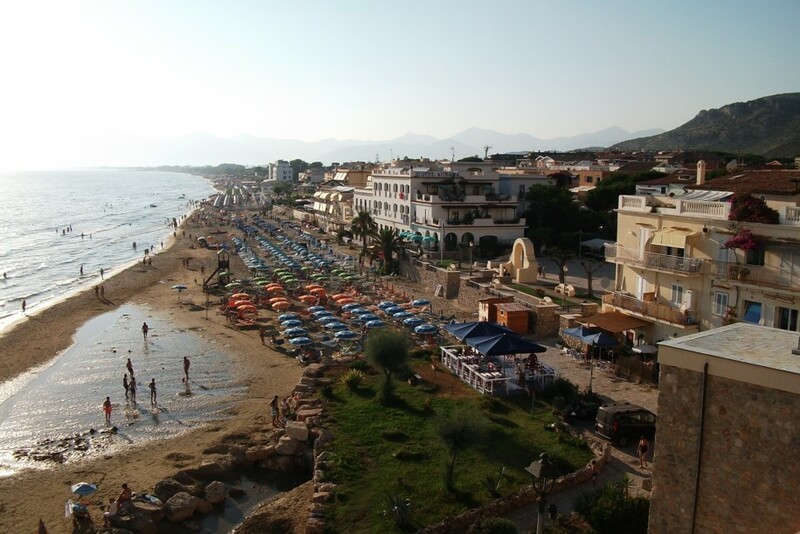 The new town runs along the beach. Narrow streets and houses of older part of town. There were plenty of places to see and visit within fairly easy reach. 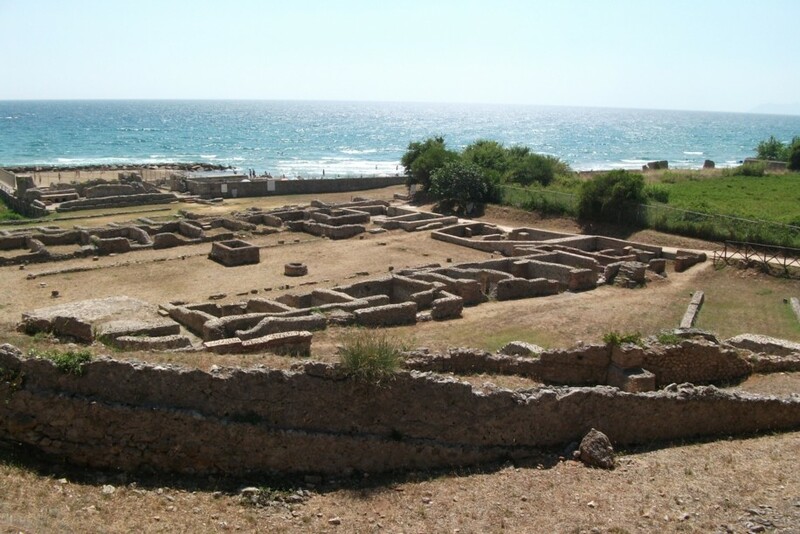 Just down the road was the Archaeology Museum and the villa of Tiberius. 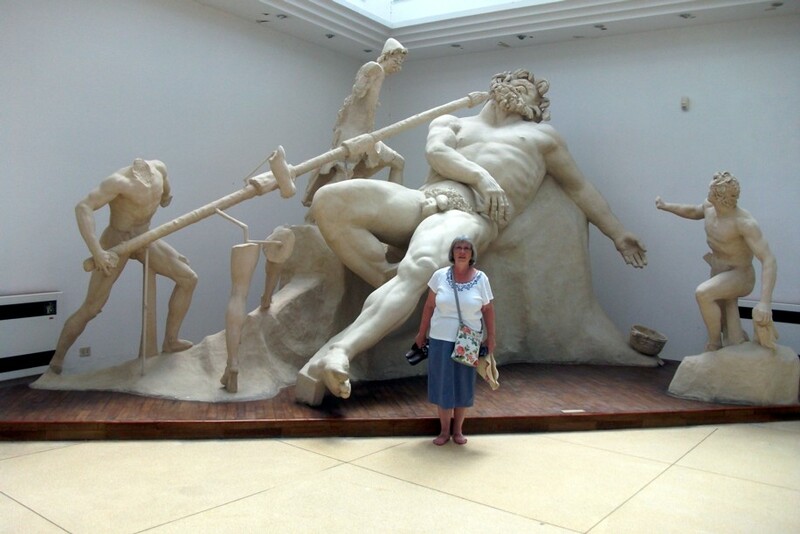 Large Statuary piece from the Grotto of the Villa of Tiberius - this is a reconstruction as the original alongside is in pieces, with some missing. Painted wall plaster has survived in parts of the villa. 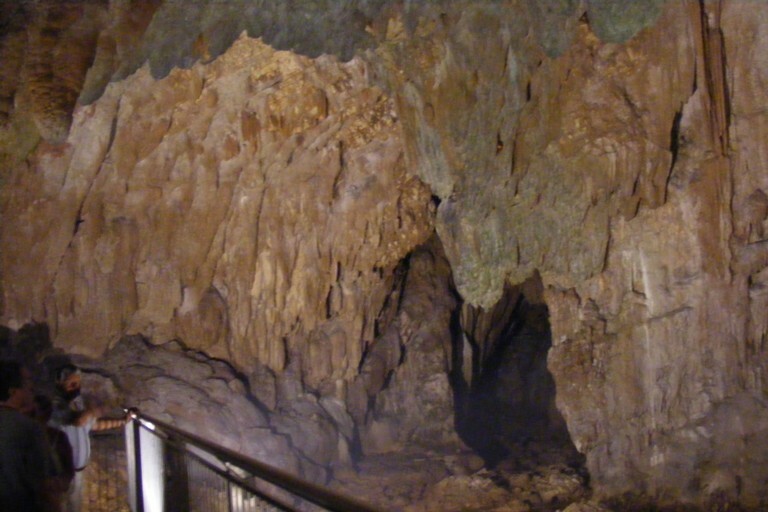 The large cave or 'Grotto' behind the villa. 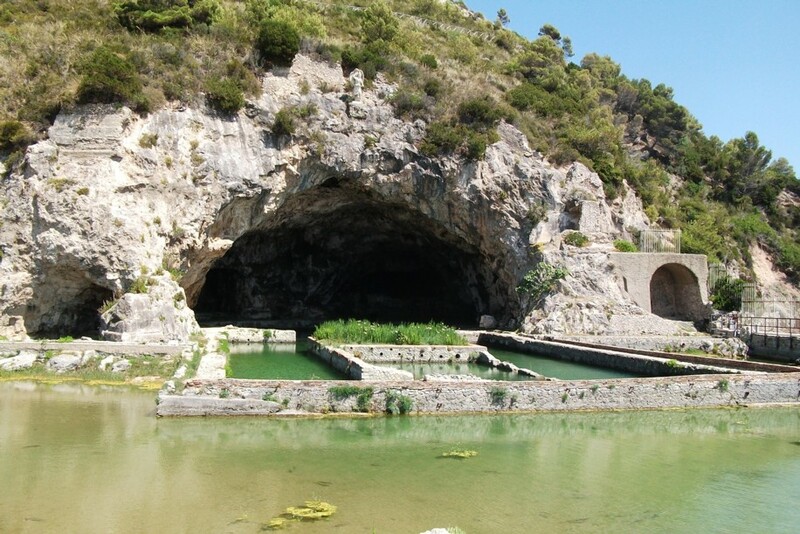 The pools were constructed as part of the grotto. 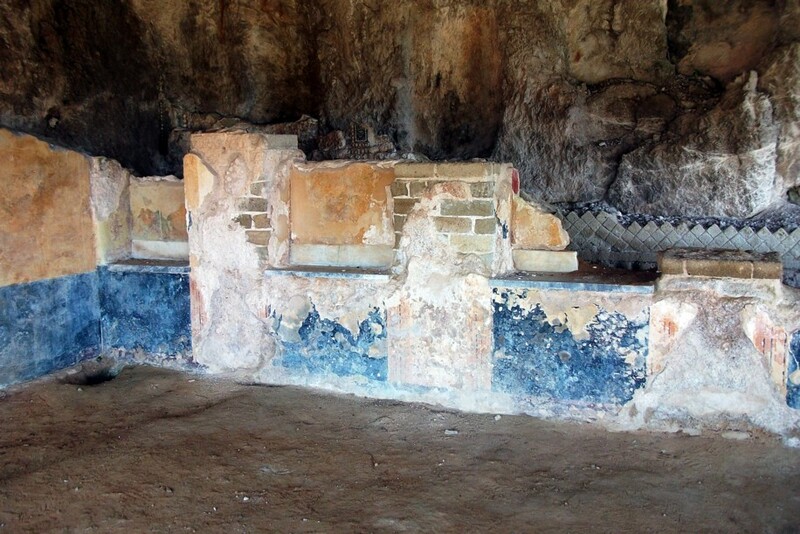 The interior of part of the grotto. There is about 500 metres open to the public. 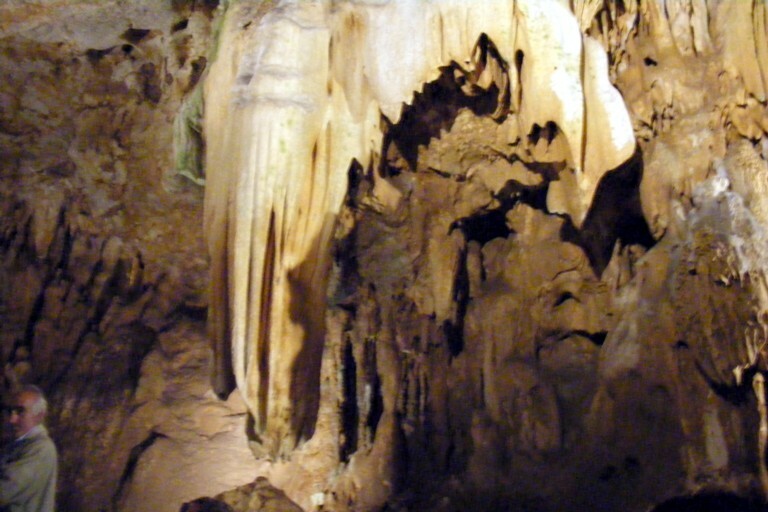 One of the larger stalagtites. 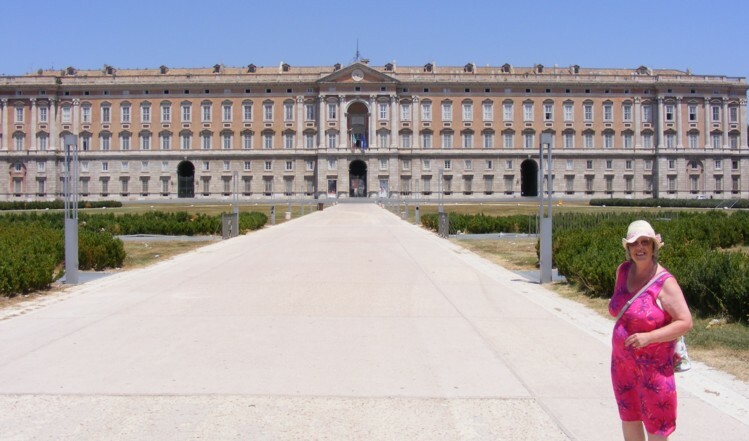 We also went the town of Caserta hoping to visit the famous gardens of the Villa. It was closed. 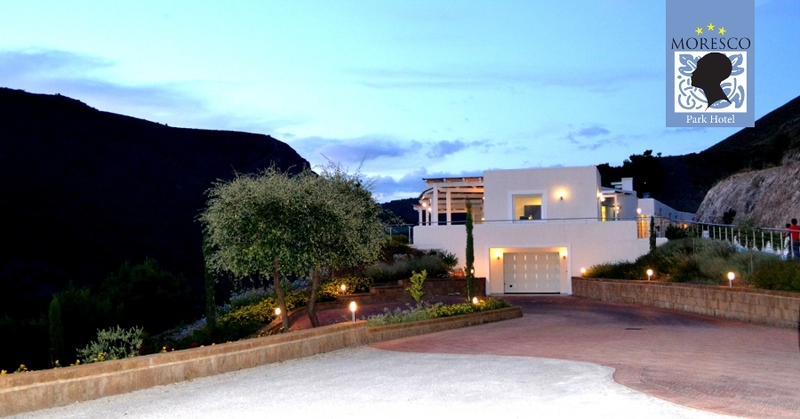 Front of the enormous villa. 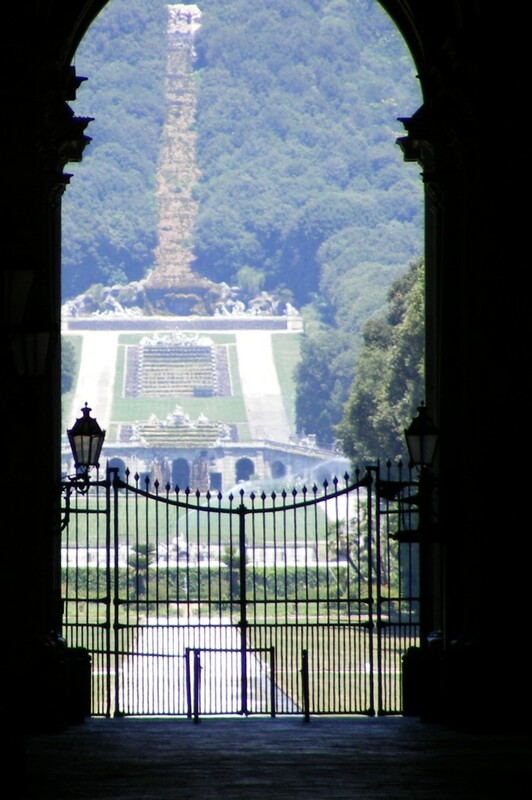 View of garden through an arch. 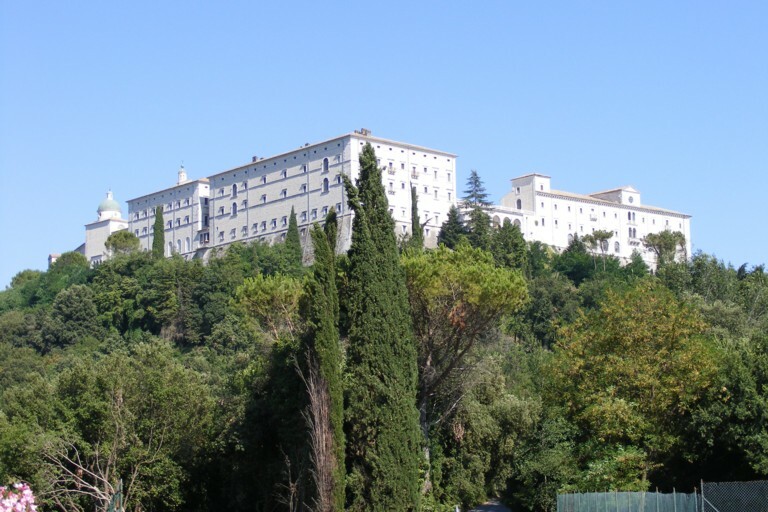 We moved on to Monte Cassino and visited the Battle Museum and the Abbey on top of the mountain. We could not photograph in the museum. 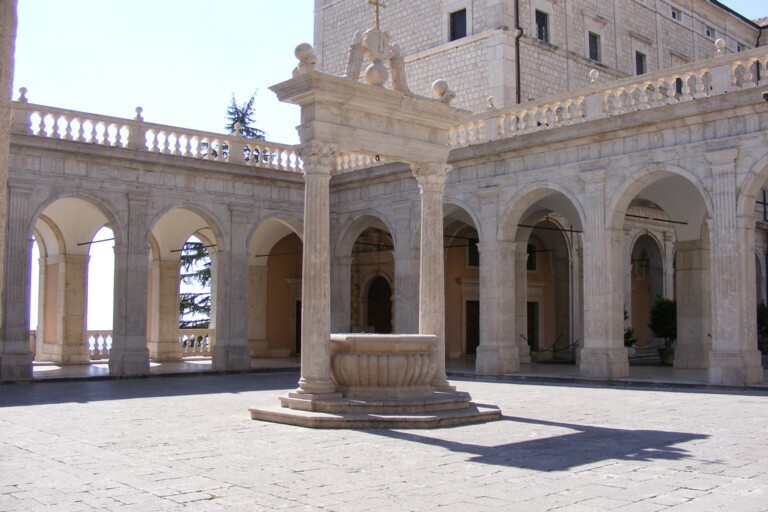 The Abbey on Monte Casino. The abbey was destroyed during 1944 and then rebuilt during the 1950s, exactly as it was originally. View of one of the courtyards in the Abbey. The Polish Cemetery. 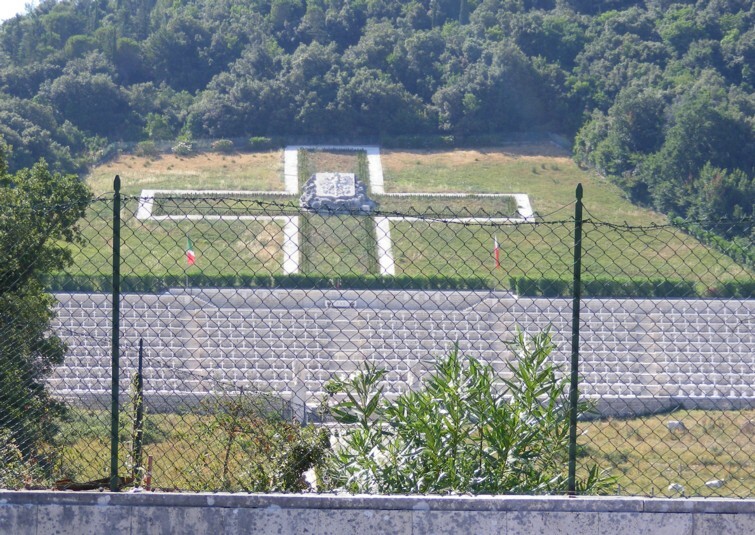 There are several other war cemeteries in the valley below the mountain. 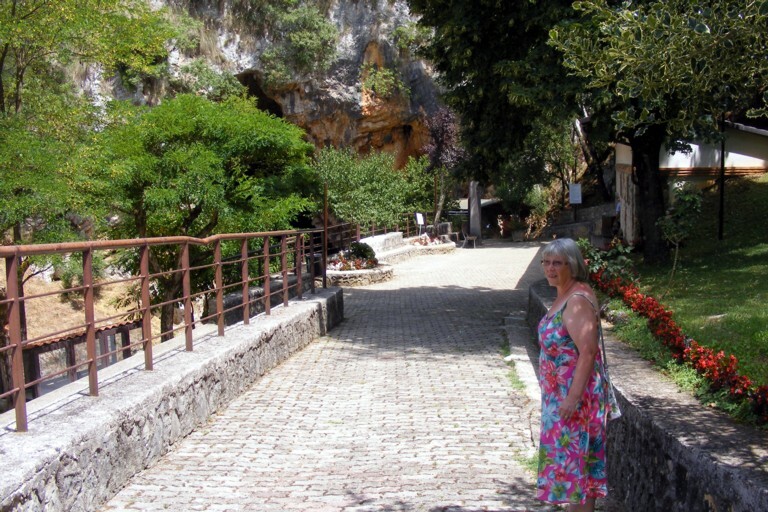 We went to visit the lakes of Nemi and Albano and the nearby towns, Frascati among them. 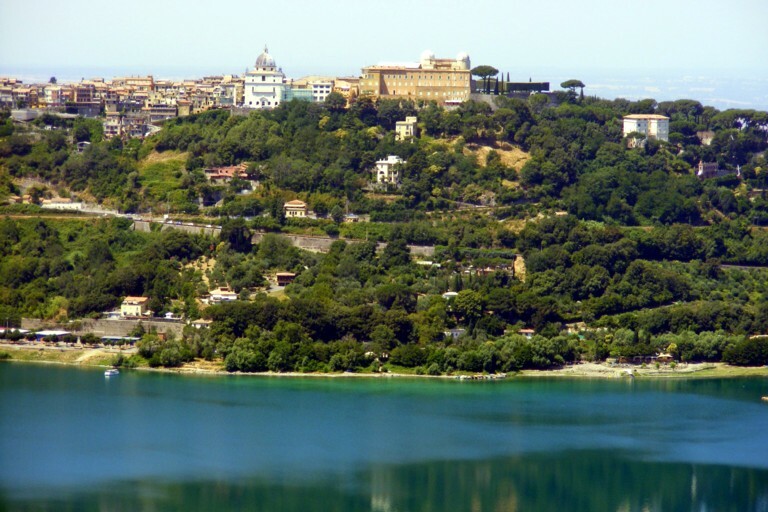 Lake Nemi is small and entirely surrounded by hills and buildings. Lake Albano is a little more open and we managed to get a photograph. We also discovered reference to an Archaeological Park at the nearby Roman site of Tusculum, so we visited this site to find it closed whilst archaeological excavations were being conducted. 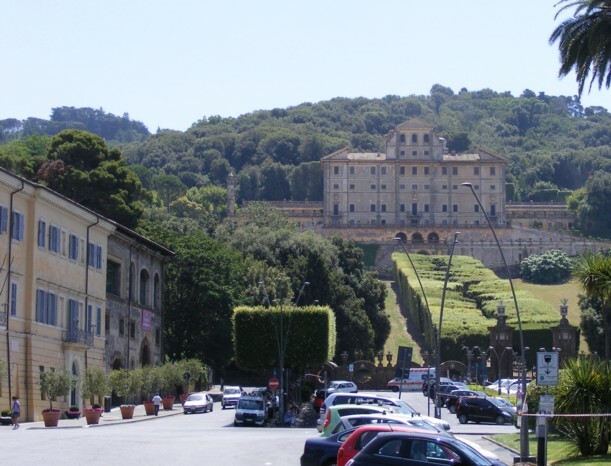 View up central piazza to Villa Aldobrandino. 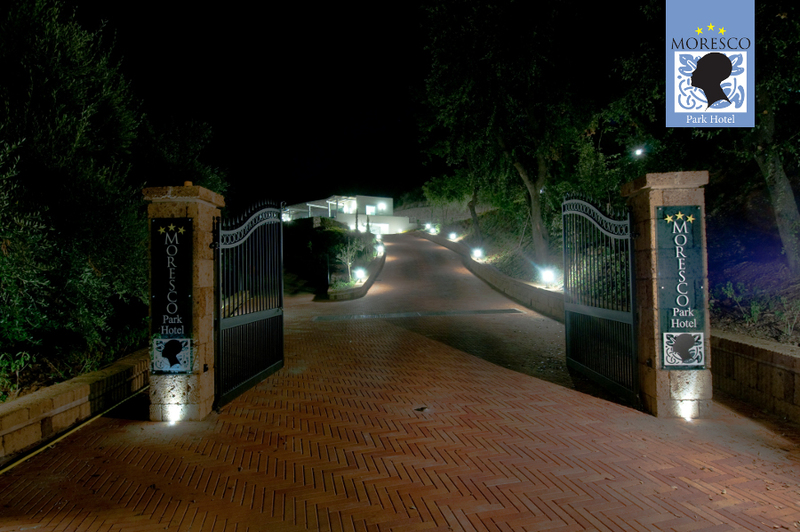 Front gates of Villa Aldobrandino. Note the entrance road underneath and almost completely covered by the trees. 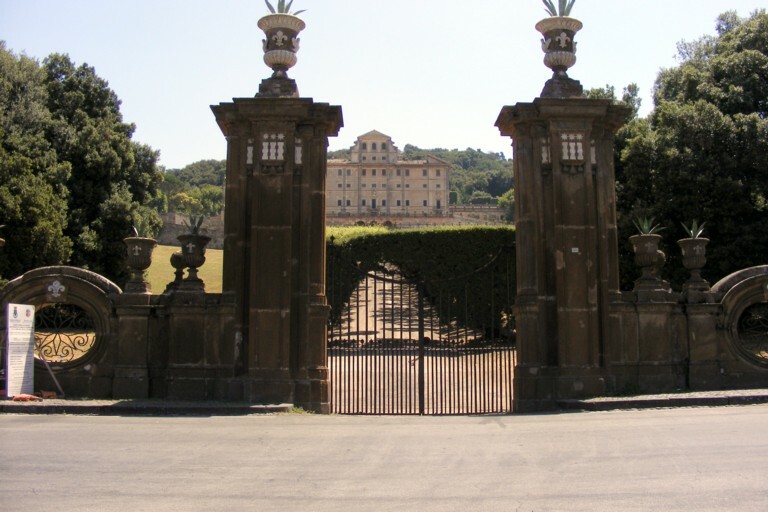 Near to Frascati. 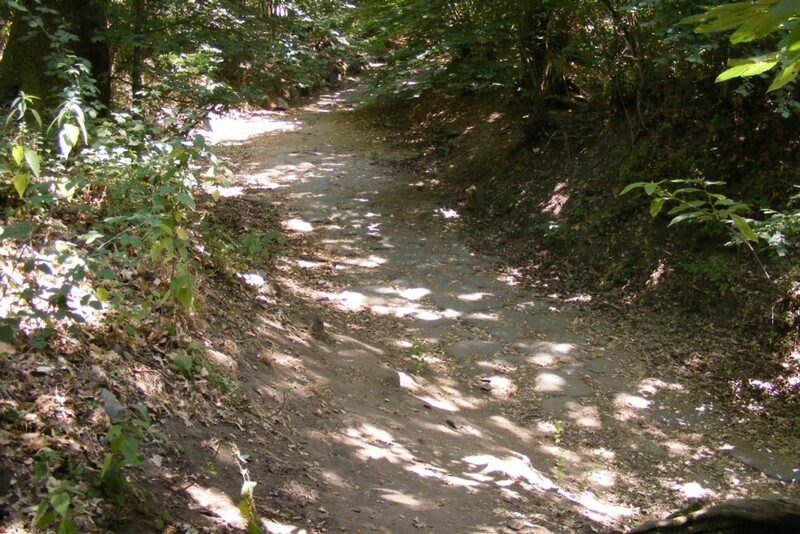 The Roman road can be seen. The site is closed for the moment and it was not possible to get to see it. There is a theatre and other remains. 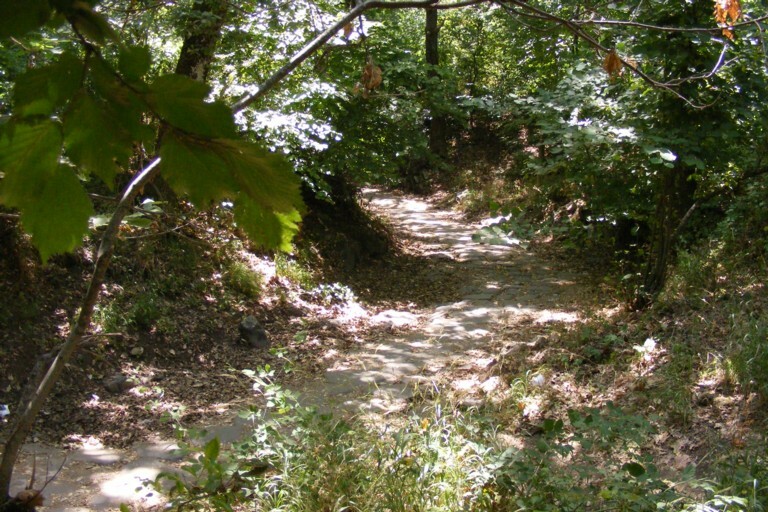 The Roman road continues down the hill towards the valley.